Wild Water Adventure Park is the perfect place to host group activities in the Central Valley area. We offer discounted rates for groups of all sizes, from 15 to 1,000 or more! 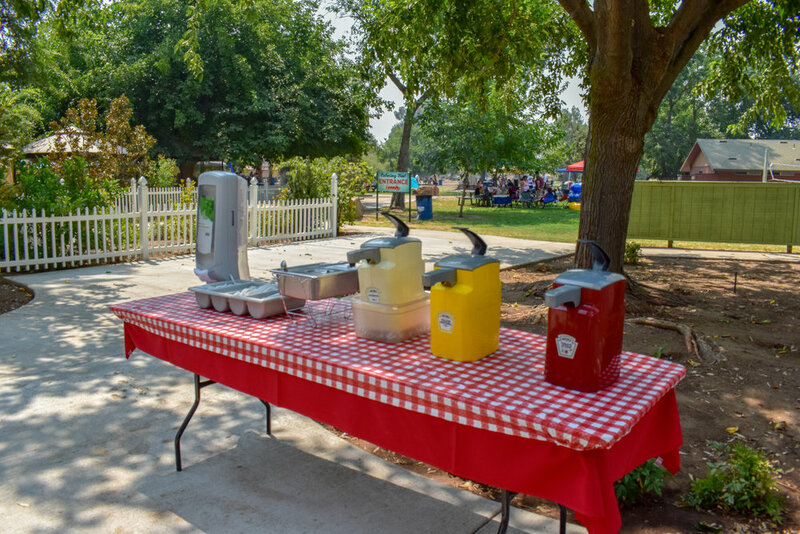 With 52-acres of rides and attractions, fishing, reserved picnic sites and barbecues we've got plenty of fun activities for your next birthday party, corporate event, family reunion, youth group, or school outing. Our event specialists can help you plan a day that gives you and your group the most fun and the best value. With a variety of options, there is an offer that works for every budget. Join the hundreds of companies and organizations that call Wild Water Adventure Park home for their summer picnic! For groups of 50 or more, all-you-can-eat lunch options are available. We offer a variety of group discounts that are remarkably priced! Our packages are designed to fit all your needs. If you want to come and spend a fun filled day with your family, employees, vendors or group. We can customize your event, just ask! In order to receive discounted pricing we require a minimum of 15 guests and reservation must be submitted 24 hours in advance in person or over the phone. Tickets will be purchased on the day of your visit at Guest Services. *Must be processed in a one-time transaction with one form of payment. No exceptions. To receive this discounted admission pricing we require a minimum of 30 guests. This package also includes a reserved shaded picnic area with a BBQ if needed. You can request a specific group site to be reserved but it is not guaranteed. We also require a signed contract and pre-paid non-refundable deposit 2 weeks in advance. All-you-can-eat satisfies all budgets and appetites! When your group of 50 or more chooses a catered event we include discounted admission, your reserved group site, and our all-you-can-eat lunch. Our delicious lunch options are served in a buffet style and your guests may go through the line multiple times. On weekdays we require a minimum of 100 people. On weekends we require a minimum of 50 people. Big savings for your employees! When your company participates in this program it allows your employees to access online discounted tickets. With these tickets, your employees can visit any summer day that we are open to the general public. Sign up your company today and become a part of a program that offers discounted prices to thousands of employees throughout the Central Valley. Enrolling into our Corporate Discount Club is 100% free to employers! Your company will sign a contract stating you will not share your exclusive Corporate Discount Code/Link on social media or with the general public. Tickets are not valid on 4th of July. The best birthday bash for celebrations from 1 year to 100! What Group Option Are You Interested In?